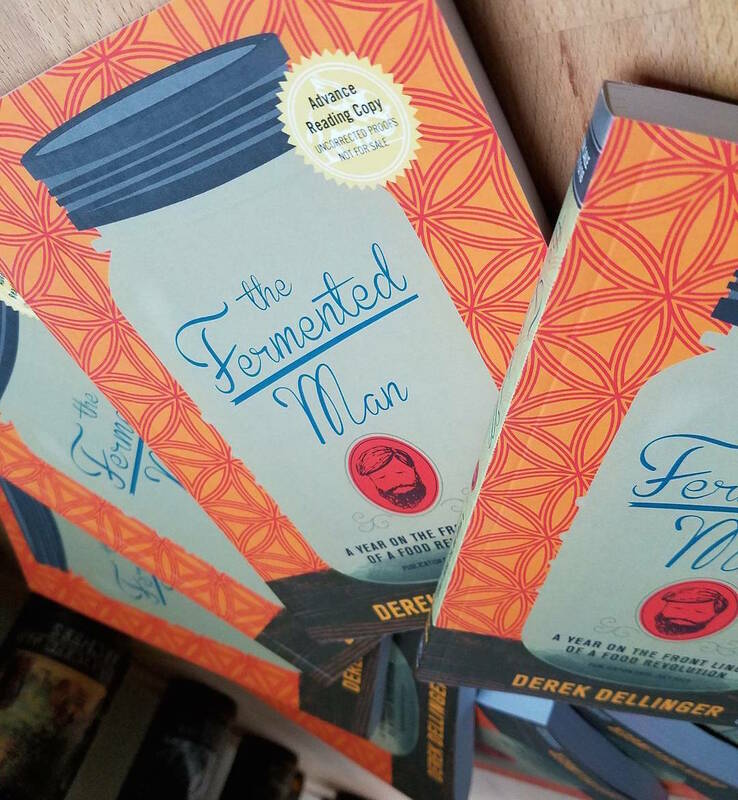 This week on Fuhmentaboudit!, Mary, Chris, and Rachel are joined in the studio by Derek Dellinger, brewmaster at Kent Falls Brewing Company, and author of The Fermented Man, which is due out in July. The book is a chronicle of Derek’s year of fermentation, in which he ate only fermented foods for the entire year of 2014. Derek is also the author of the homebrew and craft beer blog www.bear-flavored.com, a contributing writer to Upstate Brew York magazine, and a homebrew advisor to Beacon Homebrew, a homebrew shop supplying the Hudson Valley region.